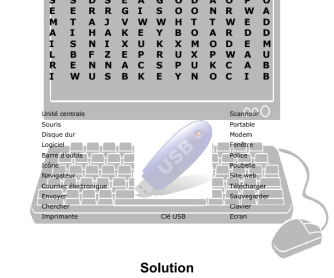 French English Word Search 1 uses French vocabulary in the clues, and the students must find the English equivalent in the puzzle. In my English classes I often use the DK French-English Visual Dictionary to help my students learn vocabulary. Seeing the picture and seeing the vocabulary in their own language helps to reinforce the vocabulary in English. (It also helps me to review and/or learn my French.) 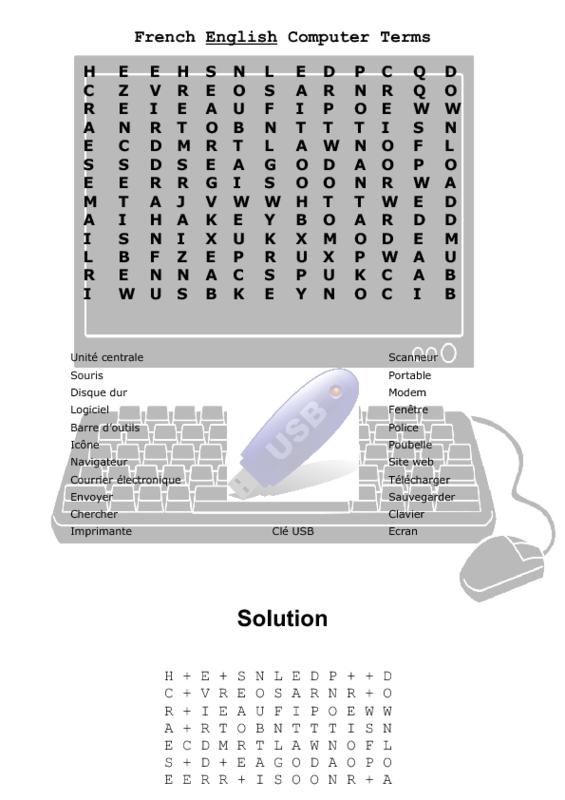 The crossword puzzles were designed for French students learning English; however, the word search puzzles are designed for both sets of learners. Word Search 1 is for French learners of English, and Word Search 2 is for English learners of French. Enjoy! I make my puzzles using the Discovery website.